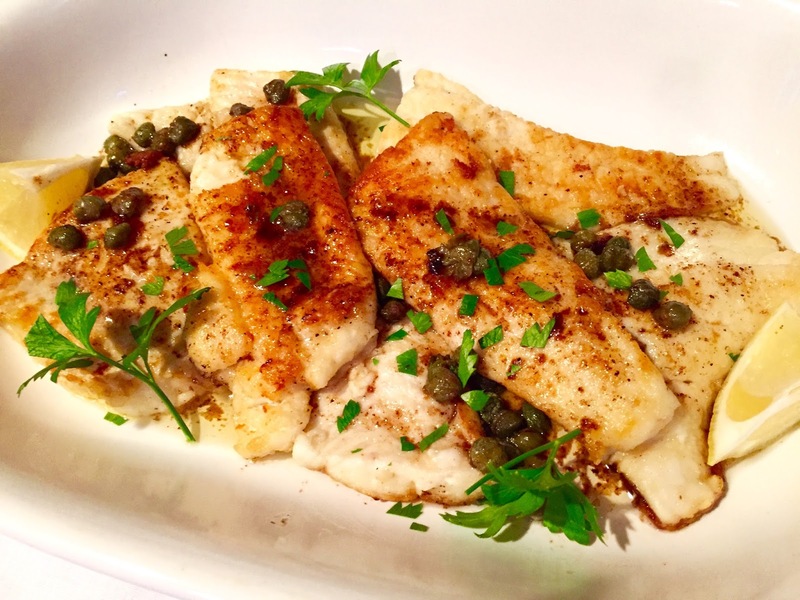 The sole taste amazing with the combination of lemon, butter and capers. 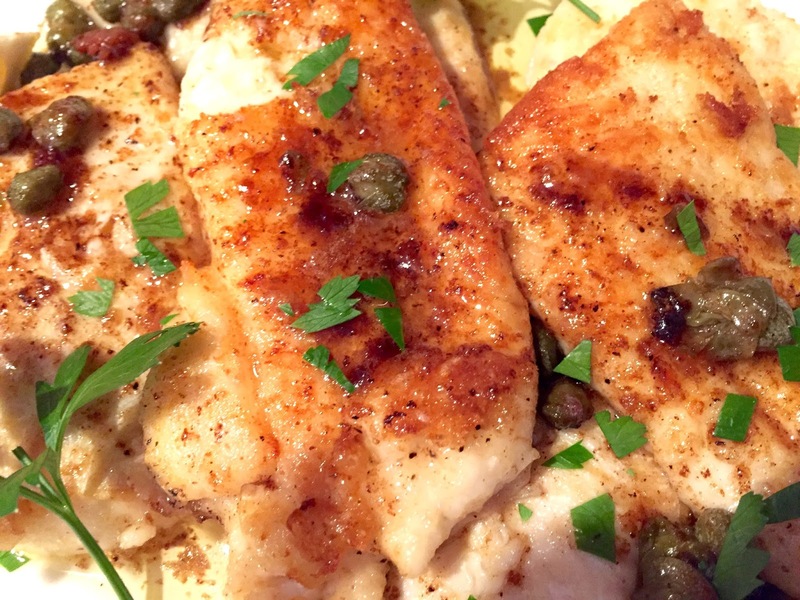 Sole is a mild tasting fish that absorbs the flavors in this dish staying firm. I add capers for extra flavor. Quick and easy especially for cooks that have shied away from making fish. And for non fish eaters, sole is not fishy, even they will enjoy eating Sole Meuniere! Combine the flour, 2 teaspoons salt, and 1 teaspoon pepper in a large shallow plate or use a plastic bag. Pat the sole fillets dry with paper towels and sprinkle one side with salt. Heat 4 tablespoons of butter in a large (12-inch) saute pan over medium heat until it starts to brown. Dredge 4 sole fillets in the seasoned flour on both sides and place them in the hot butter. Lower the heat to medium-low and cook for 2 minutes. Turn carefully with a metal spatula and cook for 2 minutes on the other side. While the second side cooks, add 1 teaspoon of lemon zest, 1/2 of capers and 1/4 cup of lemon juice to the pan. Carefully put the fish filets on the ovenproof plates and pour the sauce over them. Keep the cooked fillets warm in the oven while you repeat the process with the remaining 4 fillets. When they’re done, add the cooked fillets to the baking dish in the oven. Sprinkle with the parsley, salt, and pepper and serve immediately.